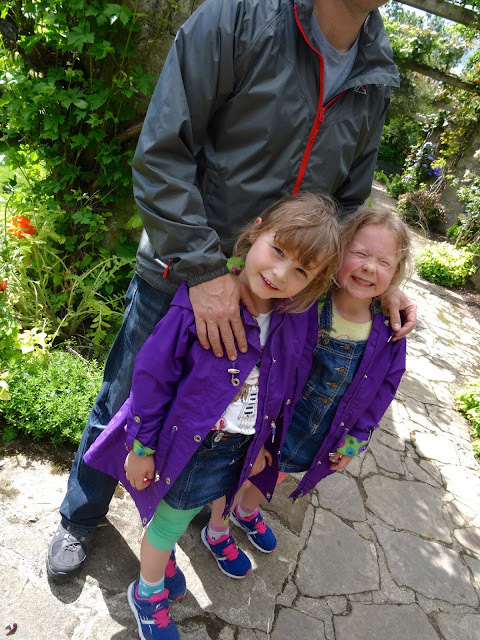 There's one thing you always need to pack on a family day out in this part of the world...and that's a raincoat. 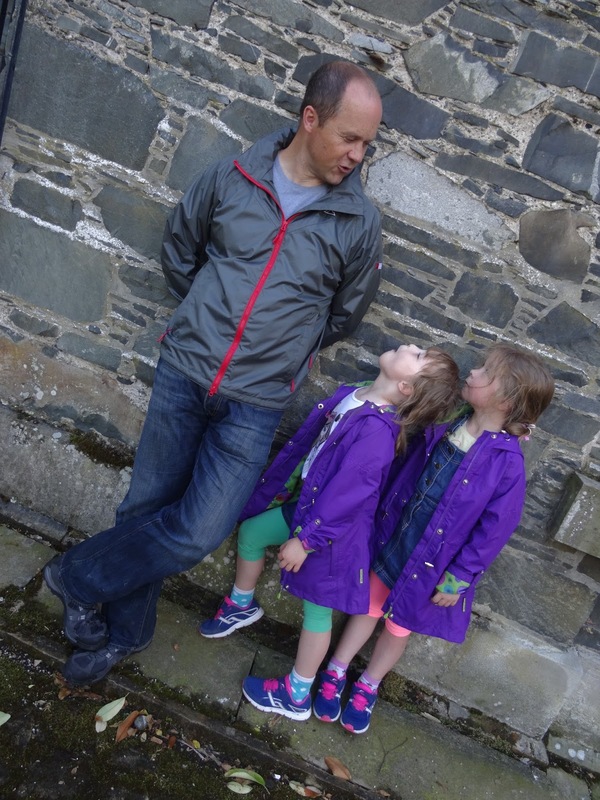 So back in May when the team at local company TargetDry offered me some coats for the family for the lovely Irish summer ahead, I took them up on the offer and it was a wise move - especially this week! 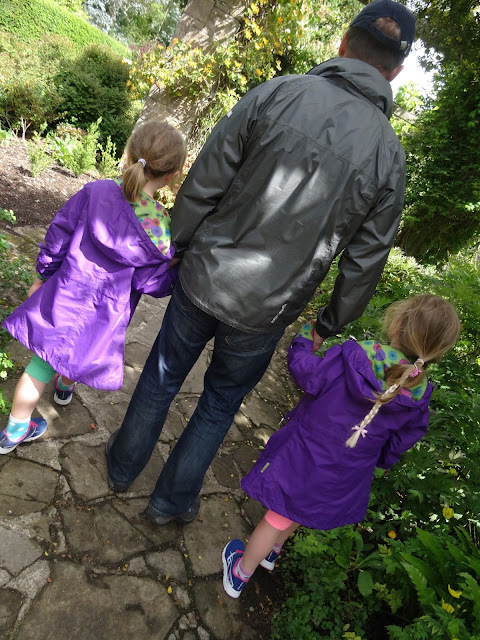 These photos were taken in local National Trust property, Mountstewart - a stunning location for a family day out. The girls chose the Charlotte Girls Lightweight Waterproof Parka which comes in 4 colours. This has been such an amazing coat for the girls. It worked really well in the last few weeks of term as a school coat but they've also worn it so much since the holidays started. The extra bit of length keeps them nice and dry in a shower but it's the floral lining that they love the most. It's lightweight but effective and with a fleece layer like this under it, will be perfect beyond September/October when temperatures drop. 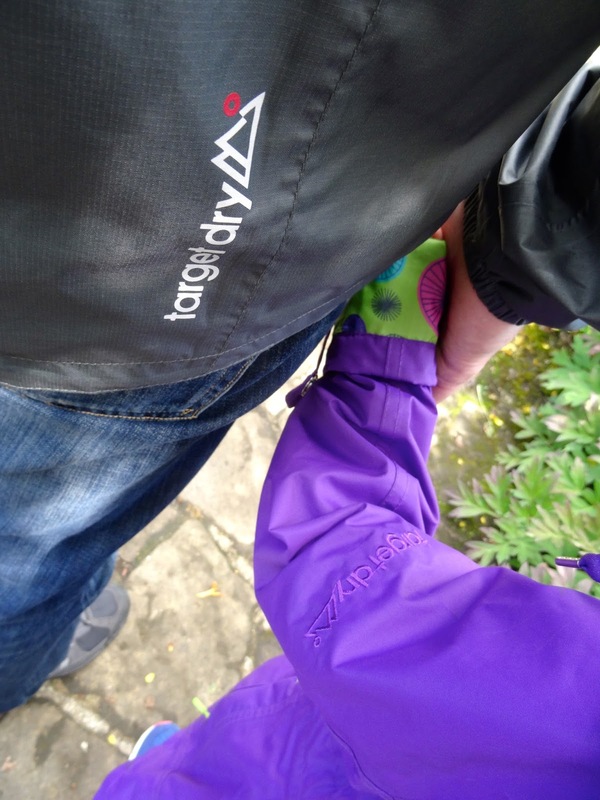 My husband chose this grey lightweight coat - the Horizon Men's Waterproof Technical Ripstop Jacket. It was the colour that he liked the most - it's not as bright as many waterproof jackets...understated but practical. My son chose a blue Mac in a Sac and it's been fantastic. He's brought it on school trips, weekends away and even used it as a goal post up at the park with his friends. The best bit? He can stuff it in his hoodie pocket for when he needs it and it looks cool. Too cool for school though as he wouldn't have his picture taken! As you know, I'm a big fan of my own TargetDry coats - the Emily lightweight (now the Alexa Parka) and the Georgia Parka (now on sale!). I wear them year round but they still look like new. So much so, TargetDry offered me a new Alexa to wear for this post but I declined as I just don't need one...I'm more than happy with the ones I've got, the quality is good and they're going to give me a few more years of rain protection. Thanks to everyone at TargetDry for supporting my blog once again. Check out the sale that's currently running and if you use WEB20 at the till, you'll get 20% off your order! That includes sale items - making the Georgia only £44!! PS I've also written a few guest posts for them over on their website which you can read on this link. Disclaimer - I received these coats for my family free of charge but was not obliged to blog about them. All words are my own. Thanks for supporting the brands that support this blog. Thanks for this Avril - just ordered both kids winter coats and hats! Can't cope with them being soaked right through another Winter and these look like they're both warm and waterproof!